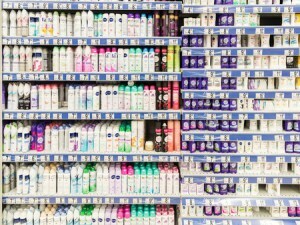 It wasn’t so long ago that when you got to the end of your deodorant stick, and felt the plastic applicator scratch against your armpit, all you had to do was go down to the local drug store and look at the wall of different deodorants that were available for you, and grab whichever one was on sale. If there wasn’t one on sale, you’d probably go for the most recognizable one. You know, from the massive corporation that paid way too much money to put out a cool commercial you had seen a week before. That was great, but then you turned the product over and looked at the ingredients list. Wow. You realized that half of the chemicals that are in this product you’re using on your body every day, you can’t pronounce. You might have done a little digging, and found out that there a lot of these chemicals can be harmful to you. Did you know that there are growing concerns that aluminum may lead to various cancers, Alzheimer’s and a bunch of other diseases? Triclosan, Paraben and propylene-glycol are used in mass-produced deodorants, and have all been linked to a multitude of health issues. The villain here is ignorance. People have trusted large corporations to have their best interests in mind, and didn’t think to research what they’re putting into their systems. Here’s the good news. Now that you know about the risks of traditional deodorants, you have an opportunity to explore the solutions. Because you care about your family, you want to provide them every opportunity to lead happy, healthy lives. You can switch to a cleaner, safer deodorant. Here’s why you should. 1) Because PurelyGreat provides 100% aluminum free deodorant. Recent studies are demonstrating that aluminum may be linked to a number of different diseases. Why take a risk on your family’s health? 2) Because you can count the ingredients on one hand. Aluminum free deodorant is made with natural soda, cornstarch, vegetable glycerin and essential oils. The fewer things that go into your products, the safer they are to use. 3) Natural deodorant is not an antiperspirant. Your body needs to sweat. Sweating allows your body to regulate its temperature. 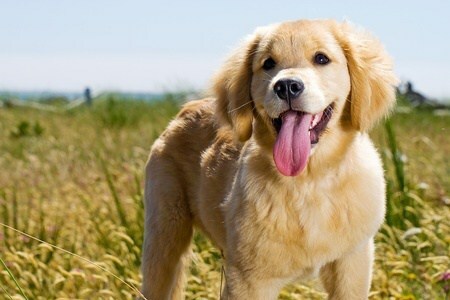 Disclaimer: If you don’t allow yourself to sweat, you may find that you turn into a dog and start panting in the heat. 4) Don’t just mask odour, prevent it! Many natural deodorants, including those made by PurelyGreat, include baking soda, which prevents odor-causing bacteria from forming, rather than simply covering up the smell. Balanced lymph nodes are important for many different reasons, not simply for breast cancer. 6) Lower your risk of Alzheimer’s. There have been studies that have noticed that there may be a correlation between Alzheimer’s Disease and high aluminum diseases. As Alzheimer’s is becoming more and more prevalent, and people are becoming affected at a younger age, we should reduce our chances of being exposed in any way we can. 7) Breastfeeding mothers reduce chemicals passed on to children. When you’re breastfeeding, what goes into your body goes into your child’s body. Whatever toxins you’re taking in are passed on to your growing baby. 8) Reduce exposure to toxic chemicals during pregnancy. You wouldn’t drink while you’re pregnant. You wouldn’t smoke while you’re pregnant. If you cut out these toxins, why wouldn’t you also cut out the toxins that are in the products you use every day? 9) No staining to your clothes. Aluminum free deodorant will not turn your clothes yellow, as many typical deodorants will. Our cream-based deodorant will wash out if it does come in contact with your clothes. Allowing your pores to open up can be important for skin health. There are countless treatments available now to open your pores on your face. Why should the rest of your body have any less attention? 11) Decrease your risk of breast cancer. Chemical deodorants contain parabens, which are estrogenic. This can be detrimental to hormone balance, because your body absorbs the estrogen through your skin. Natural deodorants are paraben-free. Overuse of heavy commercial deodorant products can produce wear and tear on the skin. To protect yourself from dry, chaffed skin, switch to something more natural with fewer chemicals. 14) Chemotherapy patients reduce their chemical intake. If you are undergoing radiation, you want to eliminate as many other chemicals entering your body as you can. By getting rid of toxins entering your body through deodorant, you can reduce the strain on your body. Many pharma-deodorants include some animal byproducts. All of PurelyGreat’s products are completely vegan-friendly. 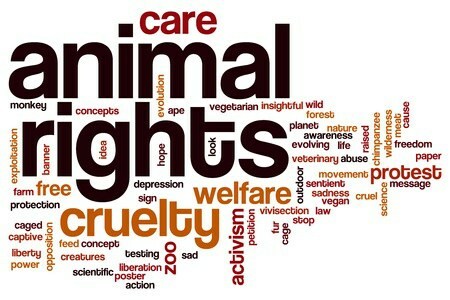 I bet you didn’t know that a number of massive companies test their products on animals. PurelyGreat is committed to never testing its aluminum free deodorant on animals. Those who are allergic to gluten, in some cases, will still react to using gluten-based products on their skin. Soy is an allergen, and can lead to hormone imbalances in both men and women as it contains high levels of estrogen. The Institute for Responsible Technology encourages everyone to completely eliminate GMO consumption. These can lead to organ damage, immune system disorders and accelerated aging. For more information, read their article here. 20) Reduce your carbon footprint. Purchasing from an independent distributor means you don’t have to worry about the environmental damage that comes from massive manufacturing. People often don’t realize that if they do not have fully-functioning kidneys, they should not use antiperspirant. The US FDA recommends that they check with their doctor before using any antiperspirant, as they can limit the body’s ability to remove toxins. Natural, aluminum free deodorants are scented with essential oils, not fragrances. You may not know, but when manufacturers list “fragrances” on their ingredients, they are not required to say exactly what they are putting into their product, meaning there could be a list of a hundred things included that they don’t have to tell you about. A lot of people find that any chemical, when applied to their skin can give them heavy rashes, hives and lumps. Chemical deodorants, and antiperspirant in particular can have an intense adverse reaction. Our products can help you avoid this. 24) Prevent toxins from accumulating in your body. Even if you don’t notice it today, tomorrow or a year from now, putting chemicals into your body on an ongoing basis is never a good thing. You wouldn’t take aspirin every day if you didn’t need it. Why should your deodorant be any different? Did you know that sweating is one of the best ways that your body gets rid of the toxins you take in? If you’re blocking your pores, you’re not letting your skin breathe. 26) Because you can’t pronounce Aluminum zirconium tricholorohydrex glycine. 27) Because the alternative is going without it. You don’t want to smell. If you’ve been convinced to put away the traditional deodorants, you can either go without them, or adopt a natural solution. To see if it works for you, get a free sample. Antiperspirants work in different ways. Some work by shrinking sweat glands, others work by clogging or shrinking the pores in your underarms. Many studies have shown that the compounds in these antiperspirants are not healthy, not allowing sweat glands to release necessary toxins. When you switch from a commercial antiperspirant to a natural antiperspirant or non toxic deodorant, your glands and pores will start to unclog, open up and function properly. At this time, toxins and other fluid buildup are being released and one may notice an increase in body odour. This is a good thing your body is cleansing itself of bad stuff. During Detox some people get rashes, itchy and discolouration hang in there. Also your lifestyle will affect how your body reacts and detoxes. if you are a smoker or eat spicy foods etc. Hang in there! It will get better! If you’ve been using an antiperspirant, there is a build-up of dead skin cells and chemical residue under your arms. Before your shower, dry-brush your underarm skin to loosen this buildup and to gently increase circulation. In the shower, use an exfoliating bath mitt on your underarms. Do things to perspire! This will help get your sweat glands to function properly. You may notice your underarm sweat being a little thick. This is because the sweat glands in your armpits are different from others on your body. These glands excrete amino acids. Your glands haven’t been able to excrete these amino acids for a while, so there may be a buildup of mucous being released. Wear natural fibers like hemp, cotton and bamboo. Natural fibers help the sweat to evaporate! Shop here to order yours here today.